The short answer is: it depends. One city’s water is better than other city’s water, and one well can produce better water than another. To begin to answer this question, one must first consider the source of the water. Most city water is thoroughly treated water from nearby reservoir rivers and lakes, whereas well water comes from the ground. So it stands to reason that if the source of the water is contaminated — be it a lake, river, or the groundwater — then the water it produces will pass along the contamination if left untreated. This is why water treatment and filtration is so important. City water has to be treated with chlorine and fluoride because the source of the water — rivers and lakes — contain contaminants that would otherwise harm humans if left untreated. Then the treated water is delivered to your home through pipes made of different materials, some of which could be quite old and cause contamination all on their own. You don’t have to look any further than the health issues caused by the lead pipes in Flint Michigan to know that the water pipe material and condition matter. What About Chlorine and Fluoride? Also, it’s worth noting that many have raised concerns over the health impact that water treatment chemicals like fluoride or chlorine. Chlorine is inexpensive and very effective in preventing waterborne illness because it kills nasty organisms. But it’s also poisonous to humans. There are multiple studies that suggest that exposure to chlorinated water can increase the risk of cancer in the bladder and colon. Chlorine can also increase the risk of asthma attacks in small children. Fluoride is effective in cavity prevention so it’s added to most city water supplies. However, concerns regarding the health impact have come to light recently. In 2014 fluoride was documented as a neurotoxin that could be hazardous to child development. Some consider it in the same class as lead, arsenic, and mercury. If you want to get a better idea as to the quality of your city water, there are water testing kits that can give you a report on the quality. It may set your mind at ease, or it may encourage you to get a water filter or possibly even drill a well. Is Well Water Always Better for You? Well water comes from the Earth. It’s naturally filtered by the Earth and contains more minerals. Even so, it’s common for wells to have filtration as part of the system. And wells are not immune to contaminants either. The owner of the well is responsible for the quality of the water, so it’s up to them to maintain the equipment properly and conduct regular testing. 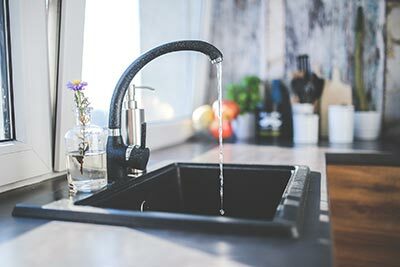 Along with regular well maintenance and testing, it’s important to take any change in the smell, taste, or appearance of well water very seriously — taking immediate action to test the water and diagnose the root cause of the issue before drinking another drop. Need to Get your Well Water Tested?